Sarifa and G Chrome share a natural rivalry after competing in the previous Space Live. Sarifa, overcome by frustration at the defeat dealt to her, cannot help but be wary of Chrome and hone her technique to a great degree in order to match her. Chrome awaits the eventual clash, eager to challenge anyone who would dare approach her throne. Chrome is a worthy adversary who wields valuable experience. Her tactics can defeat the mightiest of foes, capable of delivering a finishing assault in the heat of battle. An intense fervor burns in their hearts, propelling them onwards to a marvelous victory. Can the likes of Sarifa go toe-to-toe with the reigning queen? Despite the stakes being higher the second time around, Sarifa doesn’t stoop to underhanded tactics to secure a beautiful victory. Instead, she opts to tackle all obstacles placed before her head on. This is a pivotal difference between Sarifa and Chrome that serves to shift the scales in Chrome’s favor during the Space Live. Chrome is willing to go the extra mile, often times resorting to tactics that other browsers would find distasteful or unfair. Perhaps such methods are the only way to secure a flawless victory during the Space Live? The moral ambiguity surrounding idol performances is interesting, and paves the way for unique scenarios which can be further explored in a lengthier game. As it stands, Sarifa’s and Chrome’s dynamic create moments of tension in Space Live when it comes to the numerous performances. Victory is only a breath away, yet only the most cunning and intelligent will manage to relish in its radiant glory. Browsers that become complacent will be left in the dust, contemplating the path not taken. Space Live embodies the monumental efforts of those residing within Net Space. Each of the browsers performing on the stage wields the ambitious spirit needed to overcome any all obstacles. Though Sarifa’s and Chrome’s motives differ on several levels, their indomitable resolve lets them acknowledge each other as idols striving for victory. Those roused by the clarion call, rise up. Now is the time to bear witness to the inevitable confrontation between Net Space’s browsers and claim victory with your own hands! 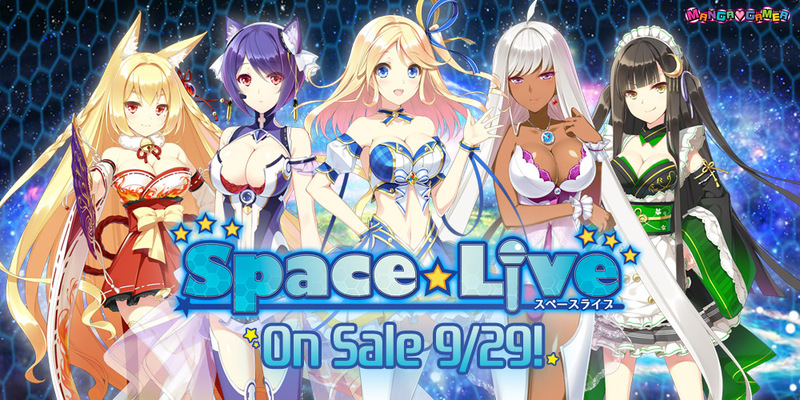 Pre-order Space Live now and save 10% or pick it up on Steam when it’s out on Friday!